From the outside looking in, ministering in Mali is a formidable task. With a strict spiritual presence that permeates the culture, to the arid landscape and soaring temperatures, it has been a country of challenges for missionaries. But on closer inspection, it is clear that God is at work. Among many there is an openness to consider the claims of the Bible and to ponder what spiritual truth is. Joshua and Carol Ngunta have been in Mali since 2010. Joshua is a Nigeria native and Carol from the USA. They represent the forefront of SIM's work in the country and are the first of hopefully many workers to serve in this West African nation. Coulibaly started attending Joshua's ministry in February 2015. The weekly ministry was being held in a larger city and Coulibaly came from the village countryside. The study had drawn a small local following, a collection of people interested in learning about the Bible. On only his second visit, Coulibaly professed his sincere belief in Jesus. So dramatic was his conversion that he immediately thought of his family's spiritual wellbeing back at home. "At the end of our meeting Coulibaly asked us if we could go to his village to proclaim the Good News that is found only in Christ," Joshua said. "We were reluctant to go but he persisted so we chose a date to visit his village." 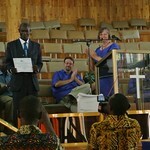 By God's grace, the village warmly welcomed Joshua and his ministry partner. "We were well received in his village and we have seen the Lord moving in the hearts of his people, young and old surrendering their lives to our Lord Jesus Christ," Joshua said. 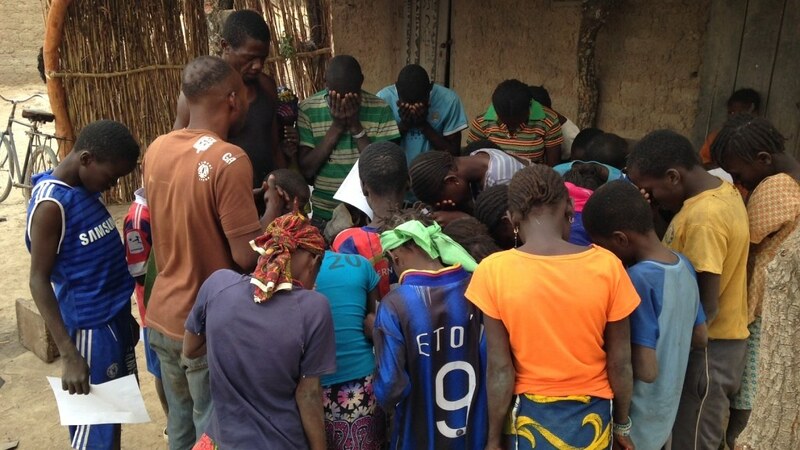 The church in the village has grown under the leadership of a local Malian pastor and the people have even ministered to another village nearby that had no church. A group of seekers has been meeting in this second village since December 2015 and Joshua visits this fledgling church periodically with encouraging results. "We have seen the mighty hand of the Holy Spirit there," Joshua said. "In one outreach meeting we saw 30 youth and one adult give their lives to our Lord Jesus Christ. We are trusting the Lord to send someone to care for the new believers and start a church in this village." Despite this, challenges remain. Materialism among the youth, a complex religious environment and small evangelical presence (0.6 percent of population) make ministry difficult. At this stage, missionaries are playing a key role in reaching people who have no access to a church. Joshua's ministry focuses on a few areas. "The local evangelicals are lacking in the areas of discipleship and mission work," Joshua said. "There is lack of leadership among the evangelical churches and that is one of the reasons we started what we call our transformational leadership course. Our vision is to minister to people who have never heard the gospel as well as to come alongside the local churches in equipping them to grow in their faith and to lead the next generation of Christians.